Since launching in the UK in 2008, Protect Your Bubble has provided more than a million customers with many different insurance products, including gadget, bicycle, pet and travel insurance. You can get a gadget insurance quote from the Protect Your Bubble website. Protect Your Bubble has three cover levels – Standard Gadget Insurance, Family Gadget Insurance and Business Gadget Insurance. All policies cover theft, damage (including accidental damage, like a cracked screen or dropping your phone in water) and mechanical breakdown (including faults) worldwide and can be purchased for all types of gadgets. An excess of between £25 to £75 (depending on the claim and type of gadget) is payable for every claim. Protect Your Bubble also offers separate Mobile Phone Insurance and iPhone Insurance policies. Click the link to find out whether Protect Your Bubble made it into our list of the top mobile insurance providers or find out more about its policies on its site. Cover is available to UK residents over the age of 18 for gadgets up to 36 months old. There is no limit to the number of times you can claim for damage, but loss/theft claims are limited to two a year. See if Protect Your Bubble made our list of the Best Gadget Insurance 2016. How much does gadget insurance cover from Protect Your Bubble cost? The cost of gadget insurance is affected by the type of gadget you wish to cover and the level of cover you need, as well as other personal factors. However, according to Protect Your Bubble’s website, their Standard cover costs £6.99 a month for most customers (exclusions and limitations do apply). The company’s Family Gadget Insurance starts at £12.99 a month for four gadgets, and £3 extra a month for each additional gadget. Multi-gadget discounts are available for Standard and Business cover – 10% off the total price when insuring 2 gadgets, and 15% off the total price for 3 or more gadgets. Get a tailored quote from the Protect Your Bubble Gadget Insurance website. What do Protect Your Bubble Insurance reviews by customer say? The reviews we found online are for Protect Your Bubble as a company, rather than specifically for their gadget insurance. On Trustpilot, the company received 4 out of 5 stars and a score of 8.6 out of 10 from 13,206 customer reviews. On Feefo, Protect Your Bubble has a rating of Excellent. Of the 1,510 customers who left reviews, 96% gave positive feedback about Protect Your Bubble’s products and 94% left positive feedback about the company’s service. Can anyone recommend a good gadget insurance company that's not Protect Your Bubble? Good prices but crappy customer service. 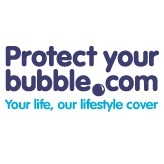 Gadget insurance from Protect your bubble http://t.co/mBQ49E35Ka! Fantastic service and price! Well worth it! What do Protect Your Bubble Insurance reviews from the experts say? Independent financial researcher Defaqto has rated both Protect Your Bubble’s Standard Gadget Insurance and Family Gadget Insurance (Household) as 5 Star. Get a gadget insurance quote on the Protect Your Bubble website. Check out our lists of the Best Gadget Insurance Providers and the Best Mobile Phone Insurance.